This is called “Fuguhiki Knife” means “Puffer Fish Cutting Knife.” This has a very thin blade designed for making puffer fish sashimi. Please enjoy the palatable taste of sashimi with our sashimi knife. 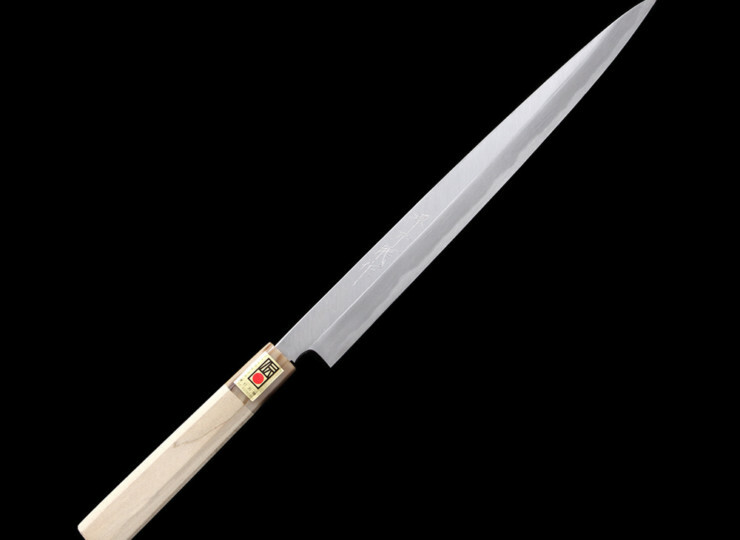 *Please be noticed that it takes 6-12 months to make this knife due to the popularity of Sakai Chef Knives. 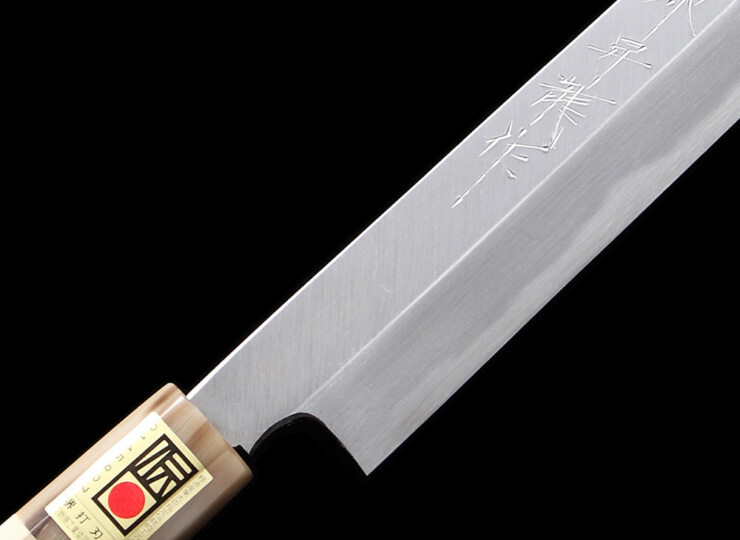 This fuguhiki knife is a built-to-order product, so it might take about 3 months from order to delivery. Please contact us through inquiry form if you are interested in ordering this item.